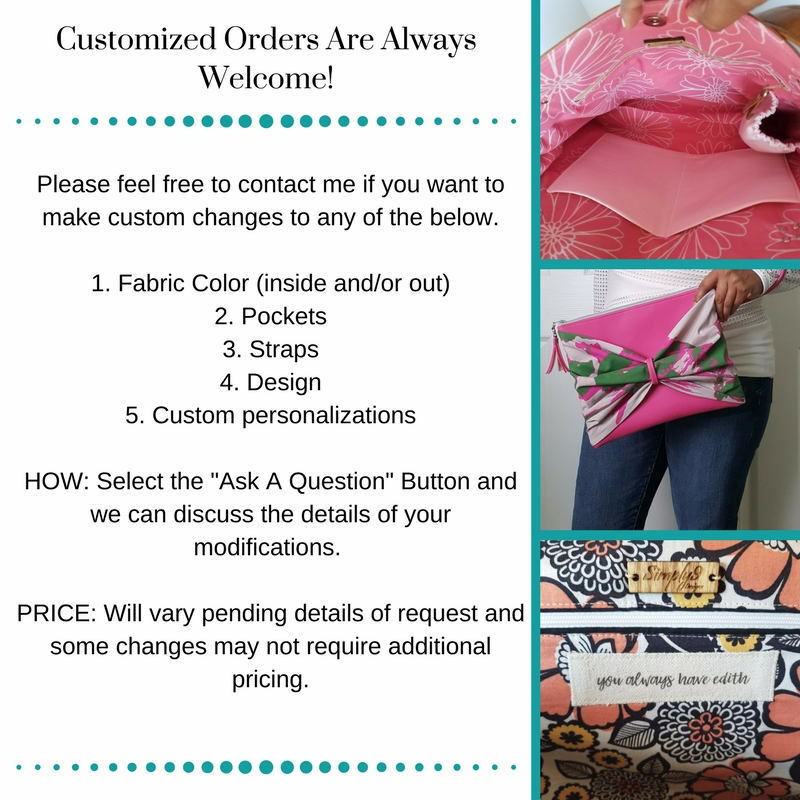 Please note all makeup bag orders placed after Dec. 13th, will ship out starting Jan. 7th, 2019. 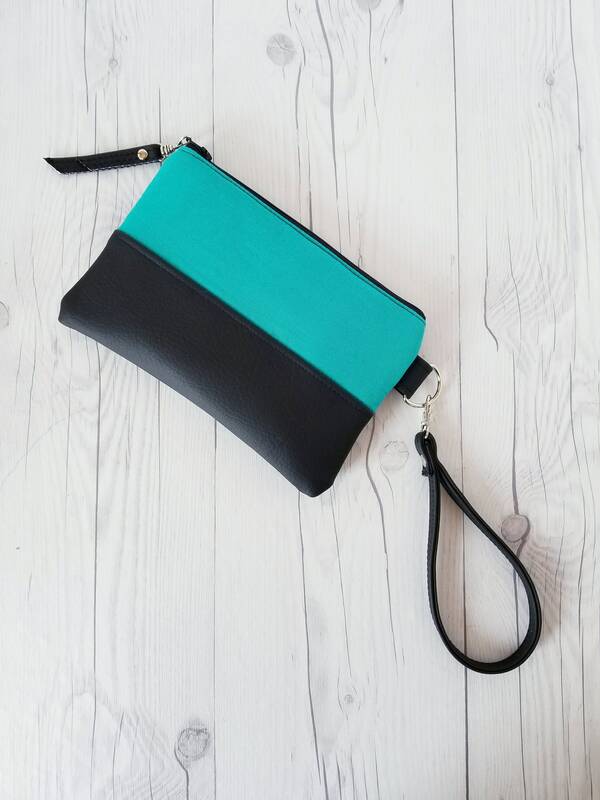 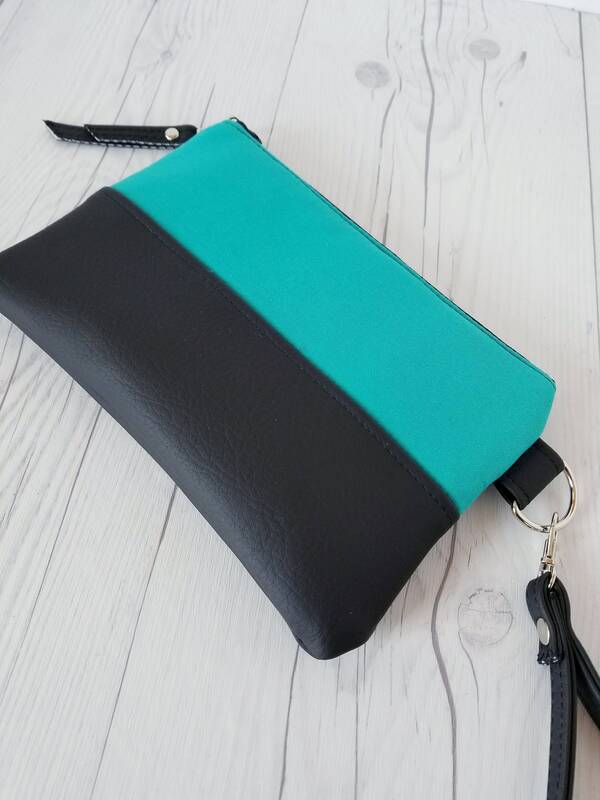 This is a beautiful teal and black wristlet wallet accented with black faux leather bottom and tassel. 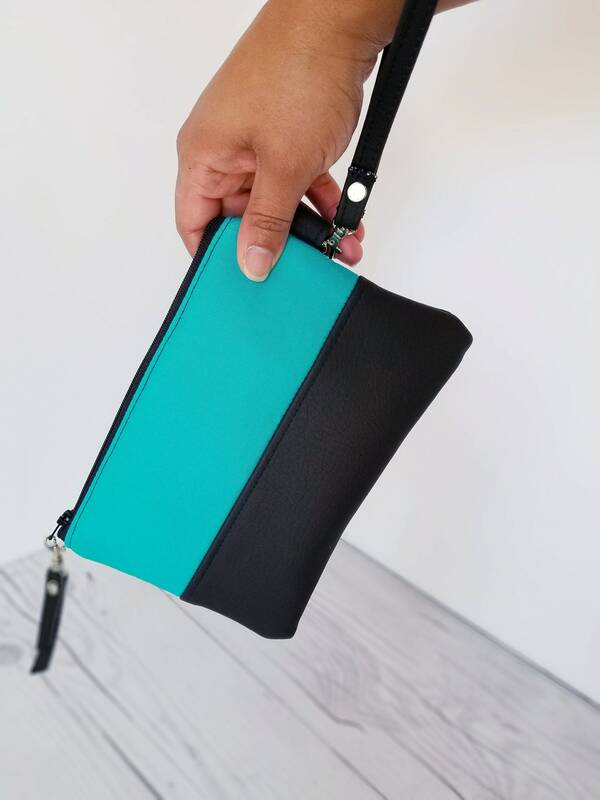 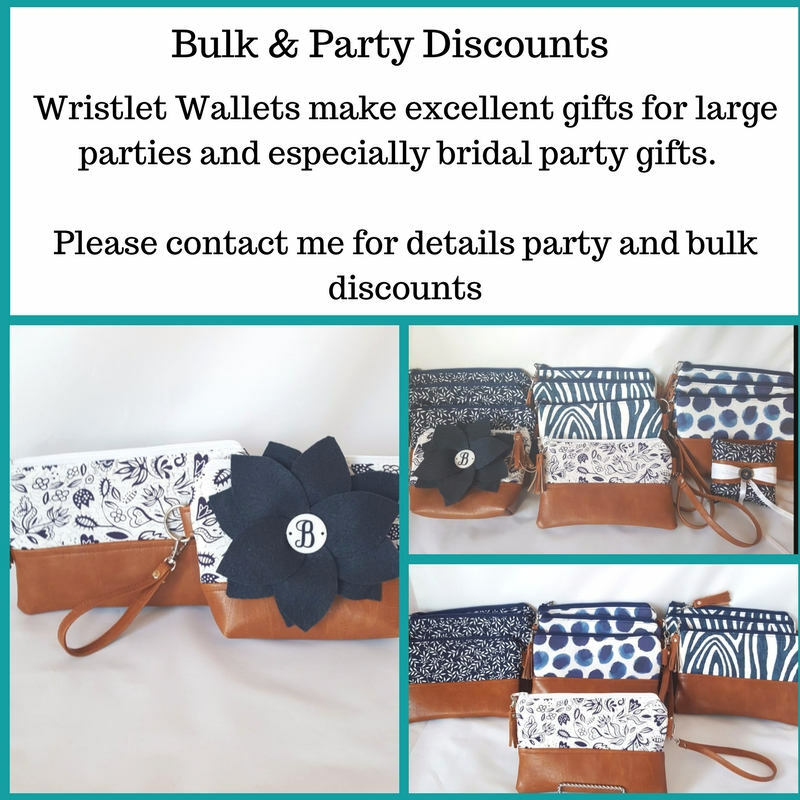 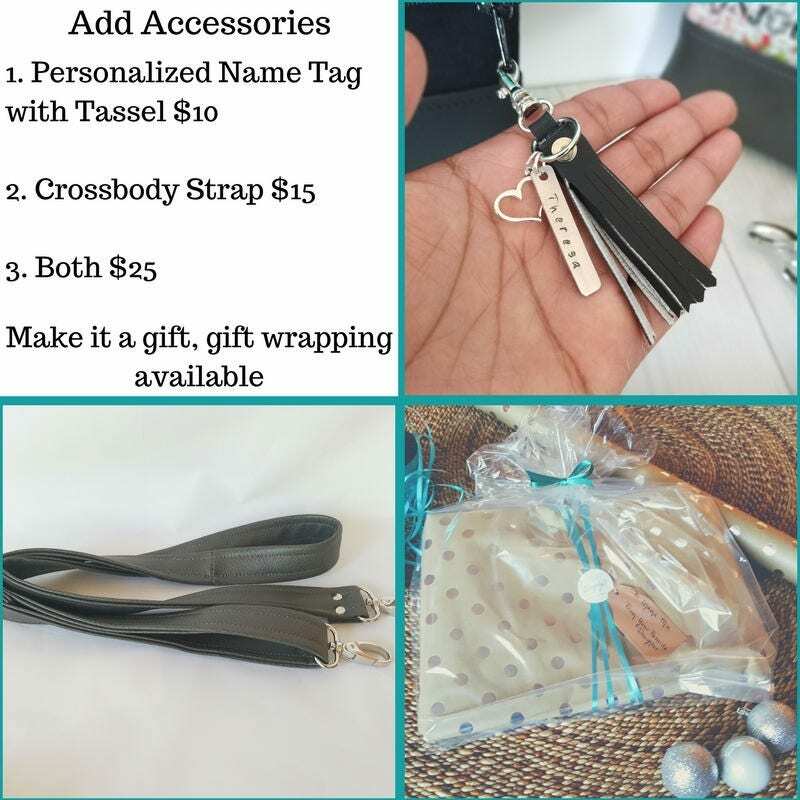 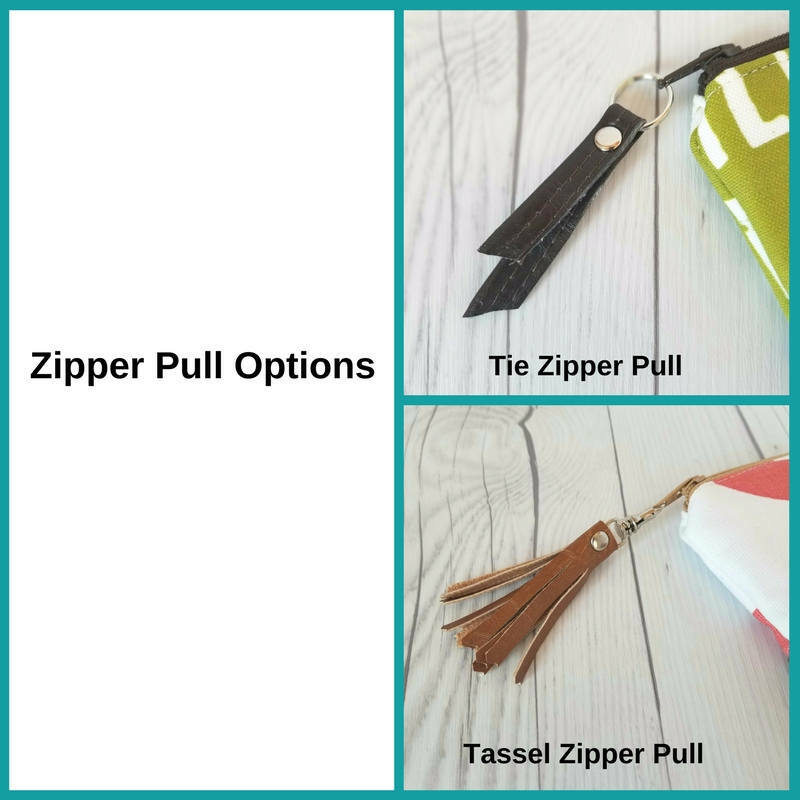 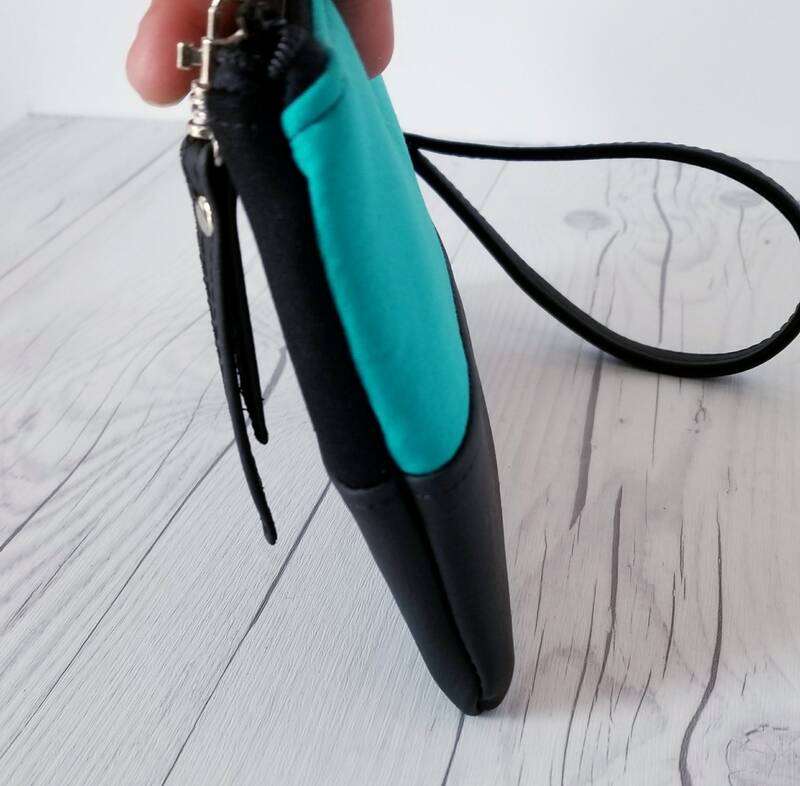 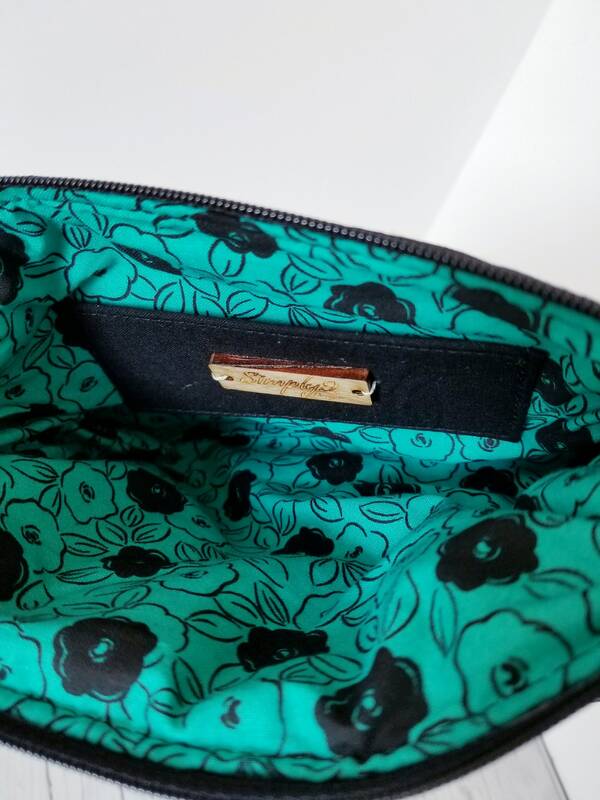 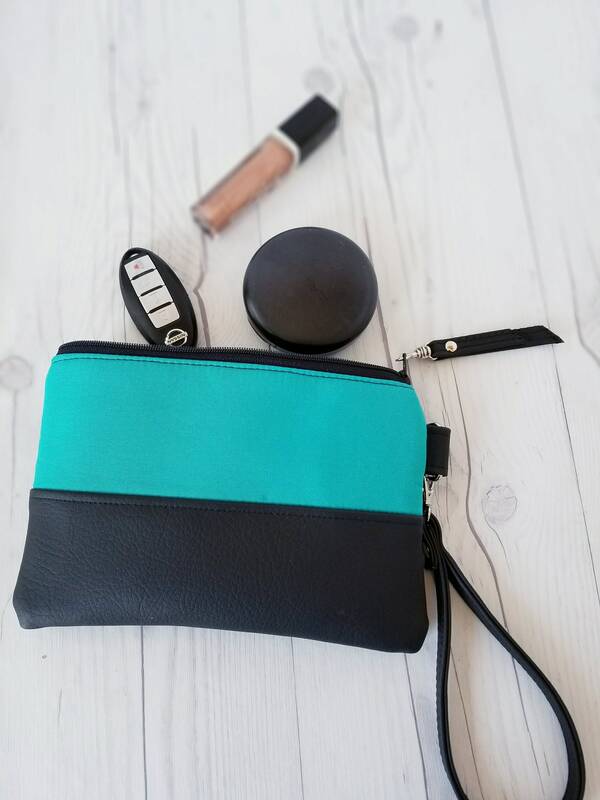 It can be used for many different ways such as a wristlet purse, small clutch, small crossbody bag, women’s wallet, travel wallet and or phone wallet.